Some people jet off to exotic locales for the holidays, spending oodles on airfare and over-the-top resorts—but I like to stay close to home and indulge in the more manageable luxuries. That includes special, once-a-year foods and the best bubbly I can afford. And nothing says “extravagant … but we deserve it” like caviar. It glistens; it pops with lush, elemental flavors when you press the beads to the roof of your mouth with your tongue; it’s a party on a mother-of-pearl spoon. Basically, that’s it. You spoon and eat fine caviar slowly, and in small portions—with or without toast points. Or, you can head to Salt Lake City’s New Yorker (60 W. Market St., 801-363-0166, GINC.com) restaurant during December for a classic presentation with finely chopped hard-cooked eggs, diced onion—the works—for $70 per 30-gram serving. 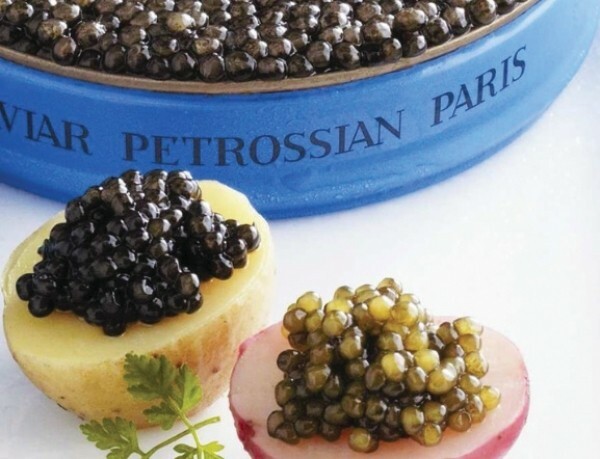 In addition to serving caviar at the New Yorker, Gastronomy’s Market Street Fresh Fish Markets (multiple locations, GINC.com) are offering two grades of Petrossian Transmontanus caviar for the holidays. Their prices are right in line with the online tab at Petrossian.com—minus the shipping, of course. Transmontanus is a mouthful of a species name for white sturgeon. In this case, it’s sustainable white sturgeon, native to California. The “royal” version—smooth, elegant and made up of larger beads—ranges in price from $70 for a little over an ounce to $280 for 4.4 ounces. The “classic” version, in the same sizes, is priced from $55 to $225. It’s similar to the royal, but is darker gray in color, with smaller pearls. Both are a treat. Though it may be simple to serve, shipping and storing are more delicate matters. Once you buy your caviar, you can keep it unopened in the coldest part of the refrigerator for up to four weeks (less time is better; freshness is key). Once it’s opened, enjoy it immediately—all of it. You deserve it.